Organic solvents are widely used in many industries, and exposure to organic solvent mixtures is known to affect tissues of high lipid content including the myelin sheath in the nervous system. There is evidence that long-term exposure to organic solvent mixtures can induce neuro-ophthalmological effects on the function of retinal ganglion cells and the optic tract. 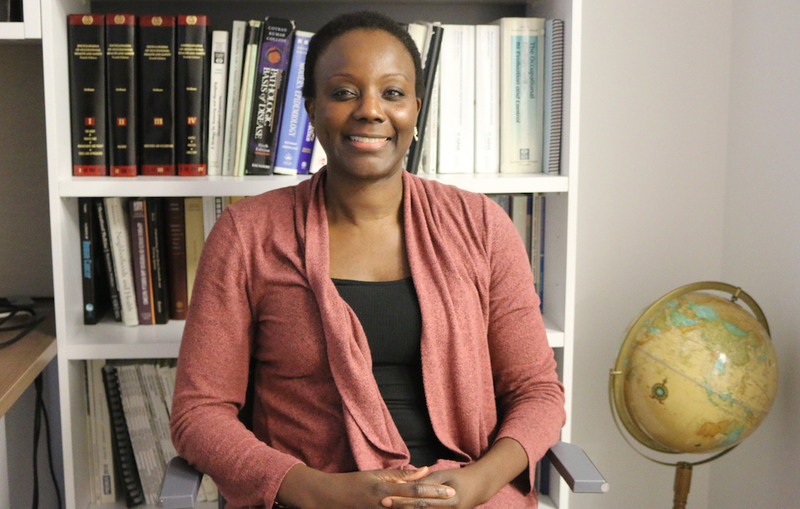 Dr. Grace Sembajwe, Associate Professor of Environmental, Occupational, and Geospatial Health Sciences at the CUNY Graduate School of Health and Health Policy, collaborated on a study on the effect of long-term (more than 10 years) exposure to organic solvent mixtures on painters. The findings were published in the journal Toxicology and Industrial Health. Sembajwe and her collaborators compared twenty workers with long-term occupational exposure to mixed organic solvents to 40 control subjects. The controls were matched for age, gender, and demographic characteristics but were not occupationally exposed to any known organic solvents, using the following comparators: visual evoked potential (VEP), electroretinogram (ERG), color vision (CV), and contrast sensitivity (CS) testing. Environmental monitoring was done in the work environment with consideration to the American Conference of Governmental Industrial Hygienists Threshold Limit Values. The exposed group had significantly longer latency and higher amplitude of VEP waves, especially P100, higher Color Confusion Index (CCI), especially affecting the blue-yellow spectrum, and lower Log CS. There was no significant difference between exposed and nonexposed groups in full-field flash ERG response; however, in the pattern ERG, the exposed group had significantly longer latency of P50, which reflects changes in the retinal ganglion cell. Sembajwe and her collaborators concluded that long-term occupational exposure to mixed organic solvents appeared to affect the optic tract functions in the form of increasing latency of VEP response, affecting the quality of CV and decreasing CS. It also affects the retinal ganglion cell layer with increased latency of P50 of the pattern ERG response. Allam HK, Soliman S, Wasfy T, Ghoneim A, Serag Y, Sembajwe G. Toxicol Ind Health. 2018 Feb;34(2):91-98. doi: 10.1177/0748233717736598. Epub 2017 Nov 14.